On Thursday, Potash Corp./Saskatchewan (USA) (NYSE:POT) will release its latest quarterly results. The key to making smart investment decisions on stocks reporting earnings is to anticipate how they’ll do before they announce results, leaving you fully prepared to respond quickly to whatever inevitable surprises arise. That way, you’ll be less likely to make an uninformed knee-jerk reaction to news that turns out to be exactly the wrong move. PotashCorp come to prominence in the initial boom in the agricultural industry during 2007 and 2008, but after recovering much of its lost ground after the financial crisis, competitive pressures within the fertilizer industry have held it back over the past couple of years. But with those pressures starting to fade, will the company get back to its winning ways? Let’s take an early look at what’s been happening with Potash Corp./Saskatchewan (USA) (NYSE:POT) over the past quarter and what we’re likely to see in its quarterly report. Will PotashCorp finally beat expectations this quarter? 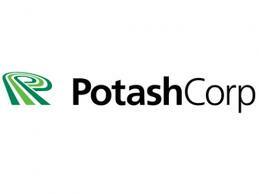 Analysts have lowered the bar for PotashCorp’s earnings significantly over the past few months, cutting first-quarter estimates by a dime per share and full-year 2013 consensus figures by almost $0.20 per share. The stock has also gotten hurt by negative sentiment, falling more than 6% since mid-January. Much of the pessimism about Potash Corp./Saskatchewan (USA) (NYSE:POT) has come from two factors. Slower growth in key fertilizer markets China and India have held back the potash producer, as prices for the commodity have fallen from past levels. Meanwhile, lower prices for natural gas have encouraged greater use of nitrogen-based fertilizers, with Terra Nitrogen Company, L.P. (NYSE:TNH) and a host of other nitrogen-fertilizer producers benefiting at the expense of PotashCorp and other potash producers. But even as China continues to struggle with growth concerns, things could start looking up for Potash Corp./Saskatchewan (USA) (NYSE:POT) closer to home. Markets throughout the Americas are showing signs of promise, with Latin America in particular providing extensive growth opportunities. Potash rival Mosaic Co (NYSE:MOS) has seen impressive growth in its Latin American segment, as a rising middle class in key countries like Brazil boosts demand for food and encourages more productive use of farmland. Given the fact that PotashCorp has a favorable cost structure on potash sales to those of Mosaic Co (NYSE:MOS) and peer Agrium Inc. (USA) (NYSE:AGU), PotashCorp may stand to benefit even more if it seeks to expand its reach across the globe. In PotashCorp’s report, watch for how the company’s sales responds to prices on various crops. By now, reliable figures on spring plantings should give Potash Corp./Saskatchewan (USA) (NYSE:POT) a greater ability to predict demand for the coming season, and that will give investors a better picture of what the immediate future will hold for the fertilizer producer. The article Investors See Growth From PotashCorp originally appeared on Fool.com and is written by Dan Caplinger. Motley Fool contributor Dan Caplinger has no position in any stocks mentioned. You can follow him on Twitter @DanCaplinger. The Motley Fool has no position in any of the stocks mentioned.